Noize 2 + Bite + Space Invader Bundle includes three effects from Denise, the Noise 2, the Space Invader and the Bite. 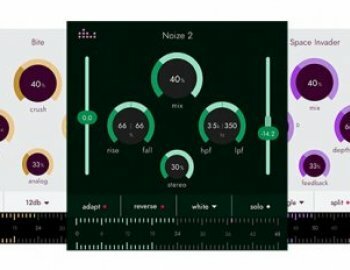 The Noize 2.0 introduces three new noise types and the option to load and edit your own noise profiles - features that have often been requested by the community. When denise actually tested the plugin, it turned out even more creative and versatile than they could anticipate. For example, they found out using a reversed vocal sample on drums and rhythmical synths has a surprisingly great effect.